ITU World Champion Flora Duffy invites you to her beautiful island home to race World Triathlon Bermuda on 28 April 2018 - be part of the first World Triathlon Series event. Die Challenge hielt 2017 Einzug in Portugal. 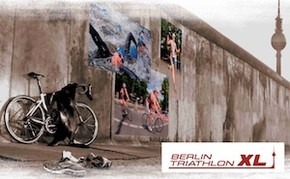 Mit der Challenge Lisboa wird die Austragung des Lisboa Triathlon nach seiner 10. Auflage unter der Challenge Marke weitergeführt. A sentimental favorite in the sport of triathlon and now in its 19th year, this tremendously popular race is famous for its one-loop swim course, beautiful ride through the Saanich Peninsula and scenic run on trails bordering Elk Lake. Triathlon erleben, wo andere Urlaub machen: die erste Austragung des Chiemsee Triathlon im bayerischen Meer wurde im Sommer 2012 ausgetragen.